Do you know what is the electric car faster in the world? Probably ever thought of acar from Tesla Mostors or Toyota, but not. It is actually of Rimac Automobili, a Croatian manufacturer of cars, and is capable of achieving speed is more than amazing. Rimac Automobili has just unveiled the design of its new Concept_One vehicle, which, according to the company, is the electric car in production phase the world's fastest. The company has announced that it will provide the world presentation of the Concept_One at the beginning of the coming month, at the motor show of Geneva 2016, which will take place in Switzerland from 1 to March 13 this year. Apparently, in the images broadcast by Rimac Automobili, the appearance of the Concept_One is an impressive car of high range, which will have nothing to envy to Tesla or Mercedes. But what is most striking is its power and speed which is able to develop. With 1.088 HP of power and a total and permanent all-wheel drive system named RAWTV (All Wheel Torque Vectoring) which includes four extremely powerful electricmotors, one for each wheel, the Concept_One is able to go from 0 to 100 km/h in just 2.6 seconds, it can be 300 km/h in 14.2 seconds and reaches a maximum speed of 354 km/h. In reality, the figure is staggering, not only for an electric car, but for any type of car. Does not exceed the barrier of 400 km/h as the Venom GT or the Koenigsegg One: 1 (the two fastest cars in the world), but certainly is among the fastest and far surpasses most of cars powered by fossil fuels. To this end, it has 8.450-cell battery and accelerometers, gyroscopes and sensors that send information on the steering angle and the speed of rotation of the wheelsto the on-board computer. In addition, the Concept_One has four driving modes: comfort, relaxed, motorwayor sports (the latter, ideal for driving on closed circuit); and its innovative traction system allows the user to adjust the driving preference extremely accurately. Inside the vehicle, equipped with high-tech elements, is as impressive as the exterior, and has, among other things, with a touch screen navigation central in which the user can, not only consult the abundant progress information about the driving and vehicle in the form of flashy graphics, but also manually configure the drive system and other elements of the vehicle. All the information collected by the sensors and other devices during the conduccionse stored in internal memory and is sent to the cloud through an Internet connection high speed 4 G, so it is possible to analyze and visualize the information about the March or later, both through the touch screen of the vehicle as from any computer or mobile device with Internet access. 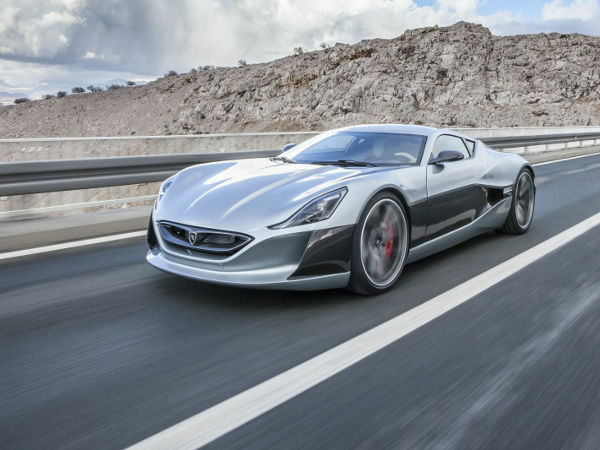 Rimac Automobili has revealed that just built 8 units of the Concept_One. Anyway,as you can imagine, not everyone can afford its price. In any case, this type of developments clearly dismantling the general belief that electric cars cannot develop speeds similar to those achieved by petrol vehicles. If you liked this article, don't forget to give you Like, comment, and share the your social networks.